LiquidSonics’ Reverberate LE is a highly efficient convolution reverb audio processor without the modulation or true stereo capabilities of Reverberate. It is available in a standard CPU edition and a version taking advantage of NVIDIA CUDA for the main convolution processing tasks reducing CPU usage where a G80* and above compatible card is found in the system. Reverberate LE provides a basic stereo convolution tool for Windows PCs. The essential parameters found on all good reverbs such as a pre-delay, gate and early onset control are all provided in a simple to use set of controls. Advanced reverb decay shapes can be sculpted using the envelope controls, and pitch corrections are possible using the stretch parameter. 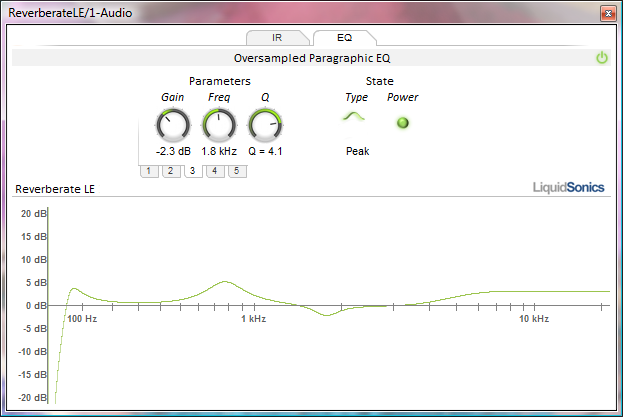 The essential filtering tools to place a reverb in the mix are covered with Reverberate LE’s oversampled paragraphic equaliser. Choose from all major filter topologies in a very simple to use interface. Reverberate LE is supplied with a basic bank of 15 stereo presets. Compatibility with various online sources of free IRs ensures the reverb can be used for a wide range of applications. 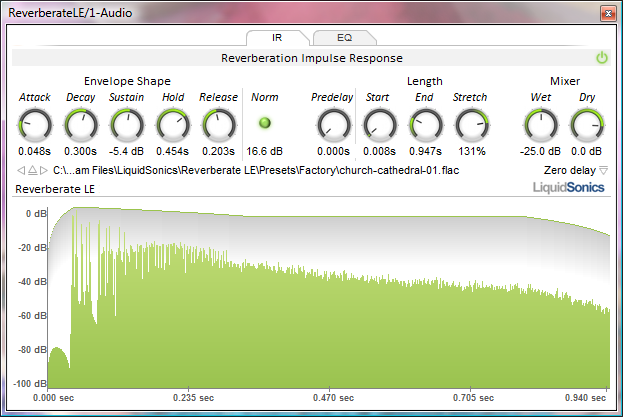 Note that Reverberate LE is available for 32-bit PC VST only. Reverberate LE is provided free of charge.